लोल Private. This part was cute and funny!. 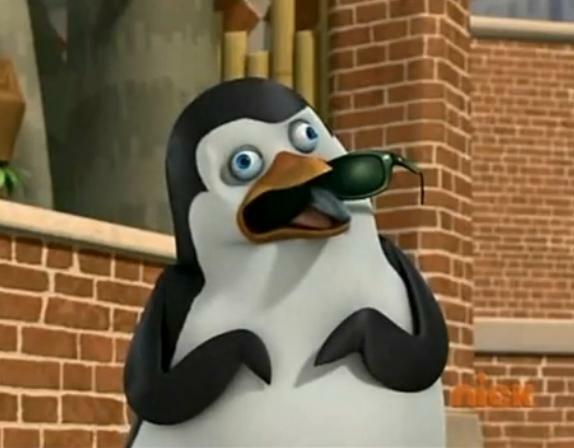 Wallpaper and background images in the पेंग्विन्स ऑफ मॅडगास्कर club tagged: picture penguins of madagascar penguin private. This part was cute and funny! In case Rico goes MIA, He taught private how to reguratate like him. Well, it doesn't look like he's gotten the hang of it! We'd better hope Blowhole doesn't target Rico! What did Private ever do to you? And I'm a penguin hater HATER! Private is hilarious on this picture. Good shot, Icicle! XD a fail so epic its almost a win, private. well done. @thatdarnhippo: Skipper tossed him sunglasses in 'The line of doody' and they went into private's beak instead of on his face. He looks like he's begging for a peanut butter winky, but got sunglasses instead!!! @nori4reel, it's pen-gew-ins for dolphins. Yay im a cat that can read and type and draw and understand humans!! ...why was his mouth open in the first place?? now im imbarest why did i just say that? ?